Extemp is a limited-prep event where students are given 20-30 minutes to prepare a 7-minute impromptu speech. Competitors are required to be experts on headlines and current events. The weekly download covers one particular headline in depth, plus gives a sample tournament of questions (three preliminary rounds, a semi-final and a final round). The questions have hyperlinks that link to news items that will help the member prepare for their tournament. All releases are written by former champions or their coaches. Extemp Release #34: “Libyan Unrest” (4/8/2019)- This week's topics include Israel’s proposed annexation of the West Bank, the Novichok poisonings, recent happenings in the U.S. and Israeli presidential races, the Federal Reserve, Snapchat’s growth plan, the USMCA, superbugs, Trump’s tax returns, the possibility of China/E.U. cooperation, Uber and safety concerns, Iran’s Revolutionary Guards, and Venezuela’s political turmoil. Extemp Release #33: “Central American Aid Cuts” (4/1/2019)- This week's topics include Arctic drilling, Special Operations Chief Edward Gallagher, Israeli/Palestinian tensions, Brexit developments, Alexandria Ocasio-Cortez’ relationship with her constituents, the likelihood of Joe Biden’s presidential run, Erdogan’s loss in Ankara, e-cigarettes, the first-ever successful organ transplant between HIV-positive patients, Georgia’s heartbeat bill, Big Ag, the anti-vaccine movement, civil rights in the Philippines, and the comedian winning Ukraine’s presidential race . Extemp Release #32: “Mueller Report” (3/25/2019)- This week extempers get to dig deep into the Mueller Report. Other topics include mass transit, Jerome Powell, taxes, ISIS, New Zealand, Brexit, the Southern Poverty Law Center, Musk-Bezos-Branson in space, the Disney layoffs, immigration, and the Democratic candidates for president. Extemp Release #31: “Beto” (3/18/2019)- This week’s final round gets into the 2020 presidential election. Other topics include the Boeing MAX airlines, the college-admissions scam, Trump’s emergency declaration, France’s Yellow Vest protests, the New Zealand shooting, Brexit, and North Korea. Extemp Release #30: “Trade War” (3/11/2019)- This week’s final round goes deep into the trade war between China and the United States. Other topics include socialism in the US, the Covington students against the media, Caracas blackout, etc. 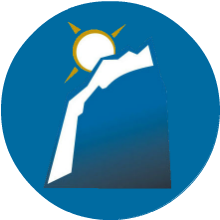 Extemp Release #29: “A Second Summit” (3/4/2019)- This week’s final round goes deep into the Second Summit. Other topics include Kelly Night Craft, the India-Pakistan conflict, Amazon, and much more! Extemp Release #28: “Investigating Trump” (2/25/2019)- This week’s final round goes deep into the investigations of Donald Trump. Other topics include the INF Treaty, Venezuela, Harvard’s Affirmative Action Lawsuit, and much more! Extemp Release #27: “India and Pakistan” (2/18/2019)- This week’s exempt topics include the resent Kashmir bombing in India, abortion, illegal immigration, Jeff Bezos, Boko Haram and much more! Extemp Release #26: “Green New Deal” (2/11/2019)- This week’s extemp topics include Alexandria Ocasio-Cortez’s Green New Deal, Trump’s SOTU Address, Bezos’s controversy, China and Turkey, and southern border security. Extemp Release #25: “Border Negotiations” (2/4/2019)- This week’s final round goes deep into the border wall. Other topics include the 2020 Presidential election, international relations, climate change, and much more! Extemp Release #24: “Saudi Arabian Missiles” (1/28/2019)- This week’s final round goes deep into the Saudi Arabian missile factory. Other topics include the indictment of Roger Stone, Brexit, self-driving cars, and much more! Extemp Release #23: “Shutdown” (1/21/2019)- This week brought us a national address by President Trump, and an offer to extend DACA protections in exchange for funding for a border wall. Extempers get to grapple with the developing questions of the shutdown in this week’s release. 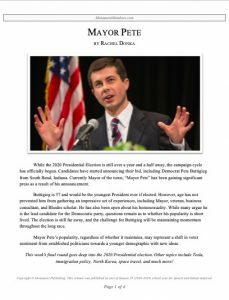 Extemp Release #22: “2020 Race” (1/14/2019)- Other topics include the ongoing government shutdown, SCOTUS nominations, solitary confinement, Venezuela’s recent unrest, Brexit, the yellow vest protests, technical terrorism, drug-resistant bacteria, healthcare policy, and the Los Angeles teacher’s strike. Extemp Release #21: “Government Shutdown” (1/7/2019)- This week’s extemp topics include the Government Shutdown, the “For the People Act.” Turkey’s call for more US involvement in Syria, Ivanka Trump’s apparent conflict of interest in helping poor people, Britain’s drone attacks on its airports, and who is to blame for our volatile markets. Extemp Release #20: “Russia in the Caribbean” (12/17/2018)- This week’s extemp topics include Russia’s move to build a military base in the Caribbean, Michael Cohen, the global slowdown, French reforms, and the shutdown of the Weekly Standard. Extemp Release #19: “US Stocks” (12/10/2018)- This week’s extemp topics include U.S. stocks, the US ambassador to the UN, French riots, the arrest of Huwaui’s CFO, Yemen, and the legacy of George H.W. Bush. Extemp Release #18: “Ukraine” (12/3/2018)- This week’s extemp topics include the Ukraine, Alaska’s earthquake, Title IX reforms, OPEC’s upcoming meeting, Ebola in the Congo, and the CIA’s analysis of Saudi Arabia’s Crown Prince. Extemp Release #17: “Remain in Mexico” (11/26/2018)- Topics include U.S. objectives in the Middle East, drug problems and religious conflicts in India, Taiwan’s relationship with China, the Swiss referendum, Democratic opposition to Trump’s military buildup, Italy’s budget difficulties, Tajikistan’s “draft”, Brexit, oil prices, and much more! Extemp Release #16: “Saudi Censorship” (11/19/2018)- This week’s first question asks about Saudi Arabia’s censorship policies. Other topics include Senate judicial confirmations, recent developments for U.S. space programs, Egypt’s new capital, election infrastructure in Florida, and much more! Extemp Release #15: “Midterms” (11/12/2018)- Other topics include Amazon’s HQ2, new FDA rules on vaping, the U.S.’s step back from the Saudi Coalition, Trump’s Acting Attorney General appointment, sanctions and diplomacy in the Middle East, and much more! Extemp Release #14: “Sanctions Are Coming” (11/5/2018)- This week’s final round goes deep into Trump’s policy with Iran. Other topics include immigration, trade, space exploration, constitutionality, and much more! Extemp Release #13: “Khashoggi” (10/29/2018)- This week’s final round goes deep into Khashoggi’s death. Other topics include terrorism, the stock market, nuclear conflict, US elections, and much more! Extemp Release #12: “Midterms” (10/22/2018)- This week’s final round goes deep into midterm election issues. Other topics include Saudi Arabia, Pope Francis, China’s economy, Facebook saving face in the UK, and much more! Extemp Release #11: “Congressional Success” (10/15/2018)- This week’s final round goes deep into little-known Congressional successes. Other topics include whether the ACLU has lost its way, Google bowing to China’s censorship rules, how the NFL is responding to brain injuries from its players, and much more! Extemp Release #10: “Unemployment” (10/8/2018)- This week’s final round goes deep into the record unemployment rates. Other topics include the opioid epidemic, the new “Medicare for all” democratic platform, Trudeau’s popularity, and much more! Extemp Release #09: “Indonesia Tsunami ” (10/1/2018)- This week’s final round includes this the Indonesia Tsunami, the Kavanaugh hearings, NAFTA, Teresa May, Pandora, the #metoo movement, qwerty keyboards, and more! Extemp Release #08: “Opioid Epidemic” (9/24/2018)- This week’s final round includes this the opioid epidemic, the Carolina hurricane, the Kavanaugh hearings, Nike’s ad and more! Extemp Release #07: “Alexandria Ocasio-Cortez” (9/17/2018)- This week’s final round gives you a deep dive into one of America’s most ascendant and polarizing political figures, Alexandria Ocasio-Cortez. Other topics include international terrorism, the intersection of politics and economics, and Mexico’s wildly popular new president, and more! Extemp Release #06: “Tesla” (9/10/2018)- This week’s topics include economic questions about security, high-profile retirements, and tariffs, the 2918 U.S. midterm elections, a section about human rights concerns, and a finals section about the interesting trends and questions of today. Extemp Release #05: “Campus Assaults” (9/3/2018)- This week’s final round goes deep into campus rules on assaults. Other topics include Trump’s war on Google, Germany’s assistance to Turkey, our new trade deal with Mexico, and much more! Extemp Release #04: “Michael Cohen” (8/27/2018)- This week’s final round goes deep into Cohen’s conviction. Other topics include facial recognition technology, North Korea, Elon Musk and Tesla, Zimbabwe’s political state, and much more! Extemp Release #03: “Climate Change” (8/20/2018)- This week’s final round goes deep into climate change as a public health issue. Other topics include immigration policy, bitcoin, trade wars, US-Russian relations, and much more! Extemp Release #02: “Turkey” (8/13/2018)- This download gives a recap of what happened in the news this week! It also provides practice questions so you can practice at home. Extemp Release #01: “Twitter” (8/6/2018)- This week’s final round goes deep into Twitter. Other topics include the Mueller investigation, Zimbabwe’s election, the trade war with China, CBS’s Leslie Moonves, Jeff Bezos, and much more! AFA Extemp gives students 30 minutes to prepare a 7-minute speech. NCFCA Extemp gives students 20 minutes to prepare a 7-minute speech. NCFL Extemp gives students 30 minutes to prepare a 7-minute speech. NFA Extemp gives students 30 minutes to prepare a 5-to-7 minute speech. 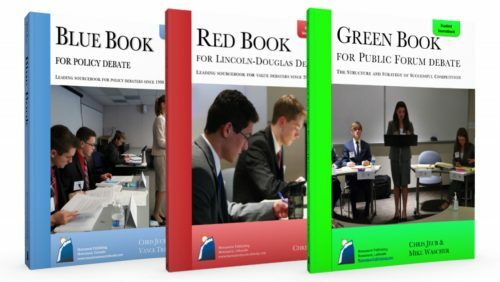 NSDA Extemp is divided into several specific categories, see individual explanations: US Extemp, International Extemp, Mixed Extemp for Middle School and Extemporaneous Debate. Stoa Extemp gives students 30 minutes to prepare a 7-minute speech. UIL gives students 30 minutes to prepare a 7-minute speech.